Exhibiting at Streaming Media West offers you the first chance, before the new year, to reach busy industry professionals looking for new and exciting ways to use streaming media for innovative business solutions. Whether they need tips, strategies, or practical advice that will allow them to put streaming to work in their business, this is the place to get answers. Attendees are looking for a one-stop location for information on all of the solutions available to help them improve the way they do business. Don't let your company be the one they missed! Event and promotional sponsorship opportunities are available that can be tailored to fit your budget and marketing goals. The Streaming Media West Exhibit Hall is a must for anyone selling streaming products, services, or content for use in corporate communications, digital media entertainment and technology, marketing, or the streaming industry itself. 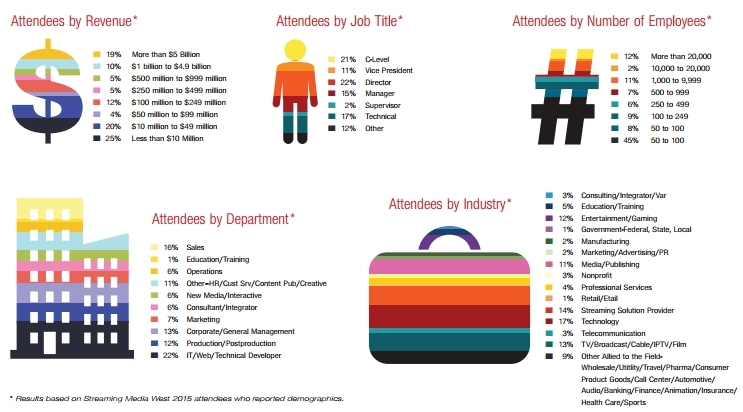 Here, exhibitors have an unmatched opportunity to brand and communicate their company’s image and message, make major industry announcements, release new products and initiatives, make deals, and do business. 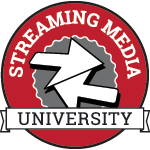 Streaming Media West offers an affordable way to reach decision makers. They’ll be looking for information and to purchase solutions for their businesses—don’t miss the opportunity to share your knowledge and expertise and get your products and services in their hands! Streaming Media West is backed by an extensive marketing plan that includes focused promotion through direct mail, print, email, social media and web advertising; association partnerships; and a compelling PR campaign. With this level of promotion and the combination of a world-class conference and exhibition, Streaming Media West offers an unparalleled environment for key industry players to meet face to face with customers and integrators of streaming and digital media technology and services. Our well-informed and tech-savvy attendees are looking for solutions to make their jobs easier and expect to meet face-to-face with the cutting-edge companies. If you count yourself among those companies, reserve your space today. Watch the 2016 preview below or See videos from previous Streaming Media events by clicking here.